(CNN) – Asking Liberace Museum director Tanya Combs to describe some of its popular exhibits is an invitation to sensory overload. There's the outfit the late entertainer wore to Radio City Music Hall in New York. Decked in pink turkey feathers for that show, Liberace emerged from a giant Faberge-style egg to adulation. Then there are the matching piano and Rolls Royce, each covered in mirrored tiles. And the piano and car covered with crystal rhinestones? "Spectacular," Combs said Sunday. "He liked things in sets." Since 1979, fans of the larger-than-life pianist, who famously said, "I don't give concerts, I put on a show," have wandered a couple miles off the Las Vegas Strip in Nevada to see vestiges of the wonder that was Liberace. But not enough came in recent years. The show ends October 17. Dwindling attendance and a shaky economy led to Friday's announcement that the museum will close, officials said. Sixteen full-time workers, including Combs, and seven part-timers will be out of a job, said Combs, who has worked at the museum since 2000. Most of the items will go into storage until a day when, perhaps, another museum opens. The Liberace Foundation, which operates the museum, will put on a traveling exhibition of many of the items, probably late next year, said Combs. Liberace was a wonderful entertainer and a talented pianist. I saw him perform many years ago, and he was great. I'm sorry that the museum is closing, but many people still remember him. Wladziu or Walter as was changed to Americanize his first name ... started playing piano at the age of 4. He played for the people with all his heart and soul. That's why he was the greatest pianist our country ever produced. His determination to bring music to his fans, his love, his kindness is sorely missed. I got married in Vegas 12 years ago, and meant to see the museum then. I could just kick myself.I have to say I hate Vegas, but always intended to return just to see the museum .I am truly sad. Liberace has been a long time fascination of mine. I even have to say I like to decorate my home like him. His legacy will always live on, theres no one like him, and never will be again. All that glitters is not gold. Liberace was a fun entertainer and this blog need to move on. Bill Mahe is the voice of America. He was a breath of fresh air after all the big mouths we have seen lately. O'Brian is nightmare. We love you Larry don't go pleaseeeeeeeeeeeeees. Sorry to hear this. 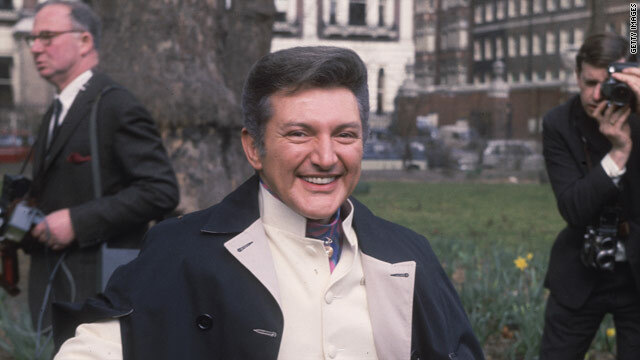 Liberace was so flamboyant and one of a kind. His costumes were amazing too. R.I.P. Liberace. Never to be forgotten. Vegas is such a slapdash place that it really needs anchors like the Liberace Museum. I think the museum's downfall was that it was too far away from the gambling. If it had been centered there, it would always be popular, but I imagine real estate costs prohibited that. Too bad it couldn't partner with one of the casinos. There should also be a Sinatra museum in Sin City.